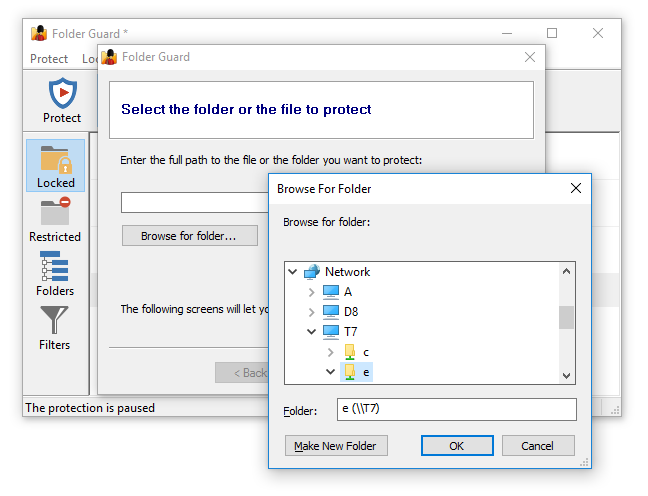 Folder Guard has the ability to protect access not only to local folders, but also to the network folders, shared from other computers on the LAN. It can protect both the mapped network drives (accessible via the This PC or Computer folder) and the network folders that have no drive letters (accessible via the Network folder). You can select a folder to protect through the Network folder, or, if you have previously created a mapped network drive for it, you can enter that network drive, too. In the latter case, Folder Guard will resolve the mapped network drive to the target network folder and use it to set up the protection. Note that the mapped network drive may not be visible to Folder Guard because it is run as Administrator. 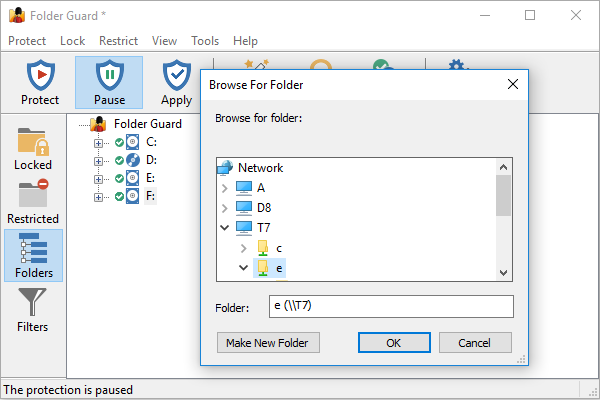 This is due to the security feature of Windows; if you don't see the mapped network drive while browsing folders, use the Network folder instead to select a folder to protect. After you've selected a network folder, proceed as usual: you can choose to protect it with a password, or with the access and visibility restrictions. 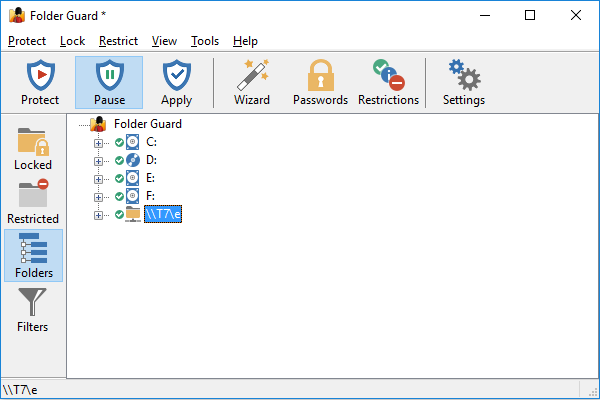 Now you can expand the network location, select the folder you want to protect and use the right-click menu to set up the restrictions, or a password, just like with a local folder. How to remove a network location? If you no longer want a network location to appear in Folder Guard, you can select it in the folder tree, and then use the View - Remove network location command to remove it. Note that this will also remove any passwords or restrictions that you might have previously set up for the folders at that location.